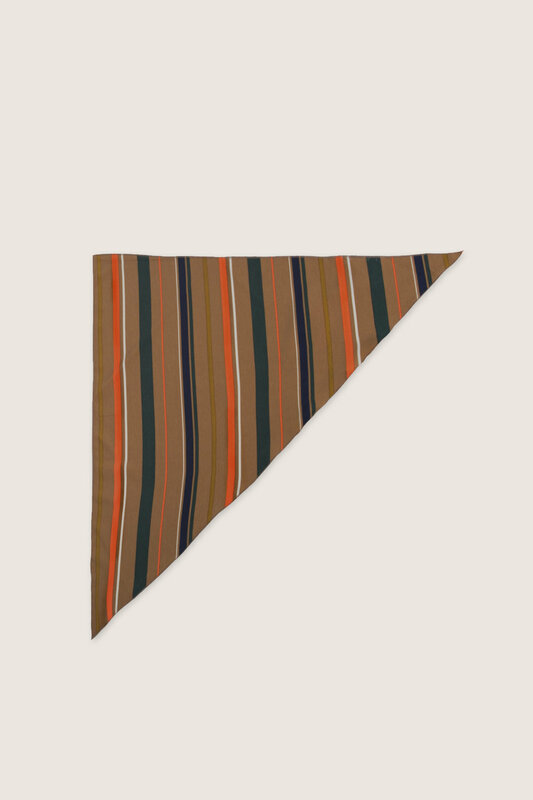 This beautiful triangle scarf features stripes of vibrant orange, forest green, and navy hues against a warm camel base. 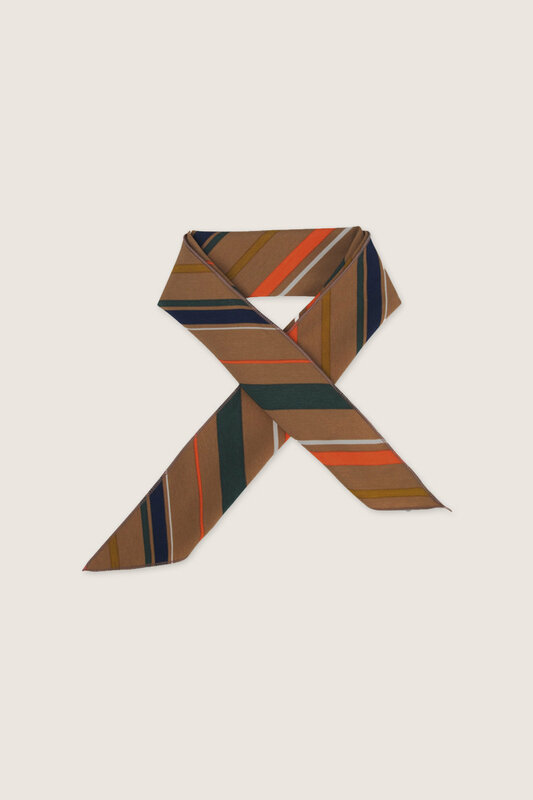 Ever so elegant in design with classic fall colours, this piece is the perfect finishing touch to elevate any monochromatic outfit. Pair with a moto leather jacket and denim for an effortlessly chic look.